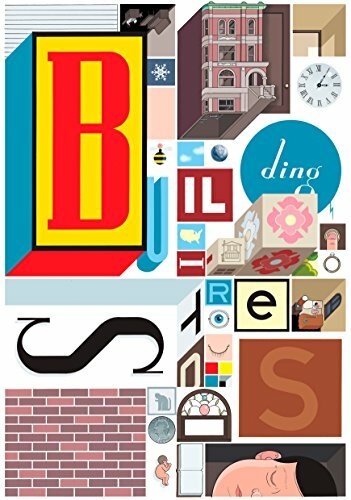 For those of you not familiar with the work of cartoonist Chris Ware, one simply cannot heap enough praise on him as a creator. His clean, design-inspired, almost clinical, architectural style of drawing merges perfectly (almost eerily) with his cleverly paced, if not somewhat disjointed, nonlinear storytelling style to create a totally unique and immersive reading experience. Mr. Ware’s books are more about wandering through a character’s memories than simply reading a narrative (though the narrative inherent in and from these experiences is what makes them such masterful stories). A curious mixture of curiosity and pathos propels the reader tumbling through page after page to devour each and every subtle detail, searching out its meaning. As a long-time fan of Mr. Ware’s work, having all this finally collected and presented in one grand scope is something of a singular treat: Opening the box was like opening a little box of treasures, and I couldn’t wait to dive in. Unlike most comic creators, Mr. Ware insists on telling stories unapologetically grounded in the mundane (except when he’s being deliberately surreal, those quirky stories are equally enjoyable). And though many of his contemporary cartoonists like Joe Matt, Adrian Tomine, or Seth also share a similar tone, Chris Ware is in a category all to himself in the depth and emotional resonance he is able to evoke from his characters. Chris Ware is one of the true modern masters of the sequential art medium and an absolute artisan when it comes to showing the beauty of an ugly truth. Building Stories collects over a decade’s worth of Mr. Ware’s work, as well as new and previously unpublished material, and revolves primarily around the residents of a three-story apartment building in Chicago. It is comprised of 14 different books, pamphlets, mini-comics, newspaper-style fold outs, and more—all collected in a beautiful hardcover box that retails for a shockingly inexpensive $50.00 (a collection of this magnitude is worth three or even four times that). Additionally, the various books can be read in any order, and the reader assembles the pieces of the characters’ lives like some great puzzle, each layer weaving throughout the others. Indeed it’s reminiscent of finding a box in the attic of things that belonged to someone you never really knew and piecing together their story. Reading Building Stories feels like you are slowly assembling the pieces of an intricate and delicate clock whose pieces are all running off the tightly wound spring of angst. It’s truly masterful storytelling that will be a unique experience for each reader and something that would be impossible in any other medium than print. Book after book, Mr. Ware builds stories upon stories, some bizarrely different (wait until you get to the existential “children’s book”), but all of them are intrinsically tied together with the common threads of both immediate proximity and vast isolation. Periodically punctuated with vignettes of the brief yet defining moments that shape us, these serve as but brief interludes as more often we are delightfully subjected to the long metered pace of the everyday lives born out of those consequences. Mr. Ware’s characters all feel they live lives of longing, loneliness, and quiet desperation, each dwelling on regrets of missed opportunities and failed dreams, often suffering from a crippling sense of wasted time and wasted lives. But our perspective grows as we read further, and as we discover different facets to the same characters, the revelations become even more poignant and at times unsettlingly ironic—especially when we see how one person’s failings can lead him to be so unintentionally cruel to another. Any sentient reader can relate to the deep honesty we see in these character’s private moments and in their private thoughts. Each of us in our own way is desperately searching for our own sense of meaning, accomplishment, and self-worth, but anyone who has ever felt their creativity suppressed—or really anyone who has ever clung onto the good in their bad relationship (or the bad in their good relationship)—will see a lot of truth nestled in these almost magical pages.